Have you ever needed to record something happening on your Mac computer? Maybe a streaming YouTube video, a game walkthrough, an online clip, or perhaps an strange behavior or a problem with an app to show it to a programmer or developer for debugging. 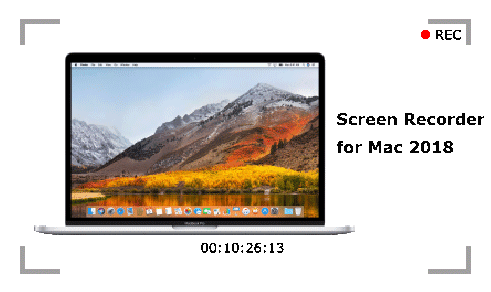 Screen recorder for Mac comes handy to record activities that a person is performing, from mouse moments to opening or closing of a window to anything on the screen. But to record high quality videos on Mac with audio, you need turn to 2019 best screen capturing software for Mac. Create a professional video on product reviews to share with the public so as to promote your product. 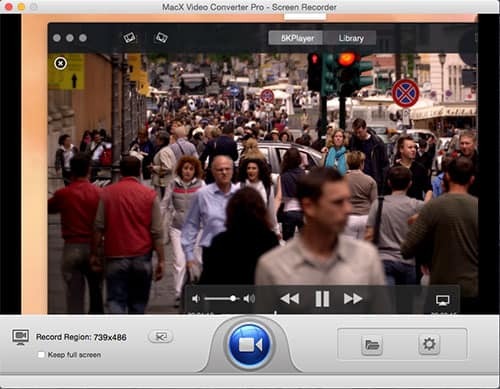 MacX Video Converter Pro, allows you to record any screen activities happening on Mac computer and convert the recordings to MP4, MOV etc. for uploading to YouTube, Facebook, or playback on iPhone iPad Android on the go. Though MacX Video Converter Pro is more known as Mac video converter, it still acts as one of the best screen recorder Mac 2019 to record HD screen videos easily and smoothly on macOS (High Sierra incl.) with remarkable output quality. It both enables you to record full screen Mac activities or customize your recording resolution. No matter you're willing to capture streaming videos, record a game walkthrough, create a presentation or tutorial for sharing on YouTube, record iTunes DRM purchased videos, it works like a charm. Besides, unlike QuickTime Player only allows you to record video on Mac with audio on macOS earlier than El Capitan, MacX constantly updates to be compatible with the latest macOS High Sierra. Step 1: Free download MacX Video Converter Pro and launch it on your Mac computer. Then click on Screen Recorder icon to get ready for screen video recording. BTW, if you wanna capture screen activities on your PCs, you can also turn to its Windows version. Step 2: Customize capture settings. You can check the box of Keep full screen, or click on Crop Region button to customize the capture area. Step 3: Click on the Gear icon to confirm the session preset, frame rate, output folder, audio device, or other parameters as you like. Step 4: Tap the blue Record button to start capturing Mac screen activities within a few seconds. You also can stop the video capturing process at any time. 1. Download the soundflower zip, run the installer and perform an install. 2. If the installation failed, go to macOS System Preferences and select the "Security & Privacy" tab. Then click on "Allow" next to "Matt Ingels". 3. Now run the installer again and finish the installation. 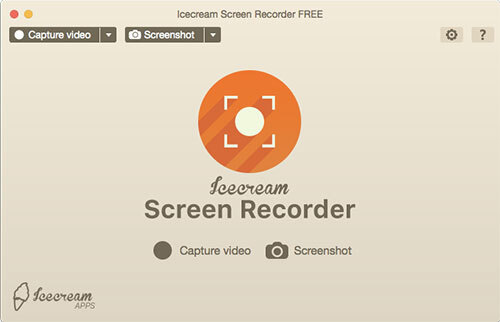 Icecream is a free Mac screen video capturing tool to record your Mac screen for short duration as it only allows recording for 1 minute with free version. Users can record screen video on Mac with audio in several various modes and add graphic elements (text, arrows, steps, etc.) during the video creation. Moreover, it also enables you to save screen capturings as files to clipboard and upload screen videos by URL, so that you're able to view and download screen videos from YouTube or other online sites. But some users state that the output quality is nice but 1 minute is to unfair, 5-10 minutes would be much better. To record a bit longer video, you would be more willing to buy the full version. Monosnap is also a free screen recorder Mac in 2019 that allows you to take quick screenshot and record videos with high quality. It's compatible on OS X 10.9 or later. It features unlimited video recording with no limitation in duration and includes the option to use Mic, System's Audio, and Webcam recording all at the same time while recording the Mac's desktop screen. So you won't have any troubles with this free YouTube, gameplay screen recorder to record YouTube videos, capturing game walkthrough, or creating tutorials on Mac. ScreenFlow is most popular and highly recommended screen capaturing software for Mac 2019. This is the first choice of professional instructors. you can not only record your screen activity but also capture your webcam, video camera, external microphone and computer's internal audio. Still, you're able to edit your screen footage with ScreenFlow's video editor as well, such as add additional video clips, images, text, music, transitions, effects etc. If you don't want to spend too much on screen video capturing and editing then this would be the best option for you. 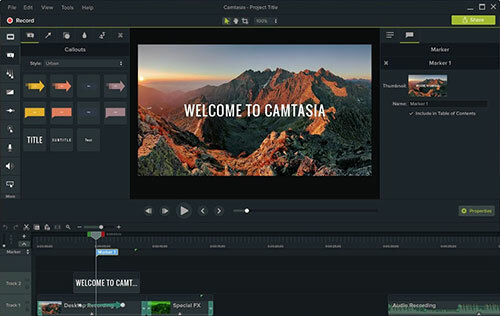 Camtasia is another effective screen video recorder, which is known for its best screen recording and video editing features. It does not only capture Mac screen activities but also record audio/video from multiple sources like FaceTime, or Skype at the same time. This highly professional program also allows you to zoom in and out of different parts of the screen in video editing. 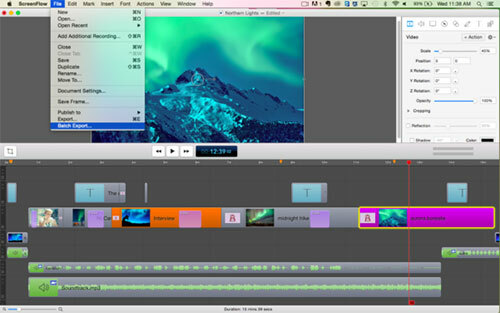 In brief, it combines all the features of Snagit and a professional video editor like iMovie. The only downside of this recorder is that it's a bit expensive ($179.99) after 15 days free trail. MacX Video Converter Pro is rated as the best screen recorder for Mac (macOS Mojave incl.). It captures any activities on Mac with good quality, edits screen videos and converts recorded videos to MP4, MOV etc. Better yet, there is no time limit for screen video recording on Mac.